From preservation to education, Austin, TX, is breathing new life into the role of historical cemeteries in urban design. Texas’ capital city has embarked on a rare and extensive effort to address challenges presented by its five historic municipal cemeteries, the oldest of which dates to the city's founding in 1839. Austin's oldest cemetery dates to 1839. The Oakwood Cemetery, originally called City Cemetery, was listed on the National Register of Historic Places in 1985. The city's 542-page proposed master plan—one of the most sweeping of its kind in the U.S.—focuses on historic preservation, tree care, management and policy, heritage tourism and educational programming. The plan is expected to be finalized and presented to several city boards and commissions before it is presented to city council in early summer, according to city officials. A report by the nonprofit Next City, “Designing for the Dead: The Perfect City Cemetery,” details the issues that Austin and many other cities face when it comes to municipal cemeteries. "As the meeting point between the living and the dead, cemeteries are peculiarly fraught ground," the report notes. “That makes them easy for cities to ignore. Crime, environmental problems, historic preservation, social class, religious traditions, and the thorny legacy of who is included in cities, and who is not, all come crashing together in urban cemeteries. “It’s a toxic tangle of priorities that often contradict each other, and when the cemeteries are on public land, they are an endless drain on city budgets. “If no descendants are around anymore to care, if eroded grave markers make it hard to even tell who is buried where, is there any harm in letting nature run its course?" 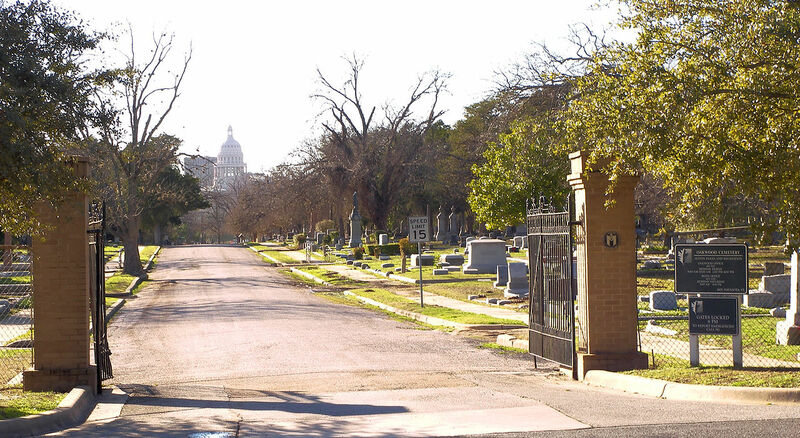 Austin’s proposal offers a rehabilitative approach to its cemetery stock: Austin Memorial Park Cemetery, Evergreen Cemetery, Oakwood Cemetery, Oakwood Cemetery Annex, and Plummers Cemetery. The plan assesses the current condition of the five city cemeteries, outlines best practices in cemetery management, and offers a plan for preservation and development of the sacred grounds. According to the plan, the city would protect the cemeteries’ character “through repair of gravestones, relics, and plant life, expanding visitor services, and developing interpretive programming that, in effect, returns cemeteries to their origins as public parks,” Next City states. To do that, the city will have to appeal in part to the huge influx of people putting down stakes there for technology, music and other industries. “You can’t get the 120 people moving to Austin every day to care about [cemeteries] unless you’re doing regular programming and tours,” Project Coordinator & Cultural Resource Specialist Kim McKnight told The Austin Chronicle. Cost estimates for the plan were not immediately available. The plan itself cost $130,000 to complete, according to Next City. Other cities around the country are reportedly keeping a close eye on Austin in this unprecedented endeavor. Sacramento, CA, and New Braunfels, TX, are the only other cities in the country with cemetery master plans, reports say. 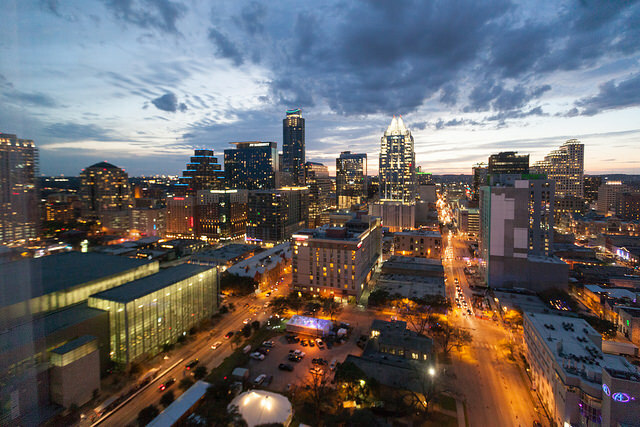 Austin, TX, consistently ranks atop Forbes' list of the fastest-growing cities in America. The city currently has a population of 1.8 million, with a population growth rate of 2.8 percent. 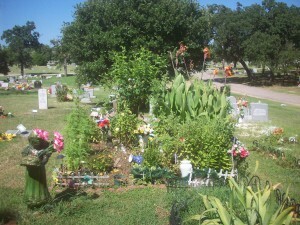 Austin’s plan to reimagine its cemeteries was developed by AmaTerra Environmental Inc.; John Milner Associates Inc.; and McDoux Preservation LLC. While Austin’s efforts affect historic cemeteries focused on traditional methods of burial, an architect in Seattle has a proposal to redesign death going forward. Katrina Spade, founder of the Urban Death Project, wants to construct human composting centers—to reimagine deathcare and connect humans with the cycles of nature.